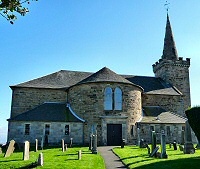 Our links page connects you to the web sites of other Church of Scotland churches in the Kirkcaldy area and other selected sites. 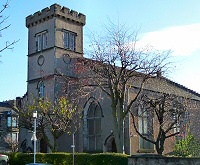 In addition to the above, all Churches in the Kirkcaldy presbytery are represented by the Presbytery of Kirkcaldy web site. Aberlour is a leading children's charity providing a range of services, support and advice for vulnerable children, young people and families in Scotland. The trust is supported by volunteers sleeping rough. Every year we collect Christmas Shoe Boxes for distribution by Blythswood Care to Eastern Europe and other countries with poor or suffering children. As well as regular special collections, Christian Aid week is well supported. Fundraising activities such as sponsored walks are also part of our events. CrossReach continues the Church of Scotland's long tradition of providing care and support for some of the most vulnerable people in Scotland. An international Christian healthcare charity with a focus on aid for Malawi, Nepal and India. This is our preferred cancer charity, especially for children. This charity is supported by regular Fairtrade stalls on Sunday mornings as well as providing information on ethical shopping. This charity works in Kirkcaldy schools to provide an outreach service and helps organise regular events and weekend activity trips for local children. The congregation donate food to this local foodbank which works towards relieving poverty and hardship in the Kirkcaldy area. Dontations can be left on Sunday mornings or via the Olive Branch Café. Poppyscotland support our Armed Forces and are specially supported during Remembrance week. Collections of food at Harvest time and toys at Christmas are locally distributed by the Salvation Army. 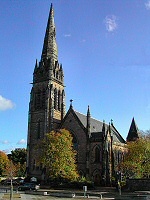 The Scottish voice for persecuted Christians worldwide. Based in Stornoway on the Isle of Lewis. This charity recycles old spectacles for use in developing countries. A charity which aims to transform lives by improving access to safe water, hygiene and sanitation in the world's poorest communities. Clan - Christians Linked Across the Nation. Their mission is to gather together in national and regional meetings to seek the renewal of the Body of Christ by the ministry of the Holy Spirit to enable restored relationship with the Father. The Counselling Directory provides a huge support network of counsellors, enabling visitors to find a counsellor close to them and appropriate for their needs. The Fife Elderly Forum Executive is a Voluntary Sector Advice & Information Agency dealing with older peoples issues. They provide information and advice on issues which affect older people and their relatives and also provide a professional independent advocacy service. The Scottish Bible Society's mission is to provide God's Word to all people in a language they can understand in a format they can use and at a price they can afford. 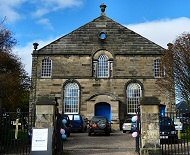 The Scottish Churches Parliamentary Office exists to help build fruitful relationships between the Scottish Parliament, Scottish Government and religious groups in Scotland.